The FTC is concerned that bloggers might be taking advantage of their readers by endorsing products and or services. 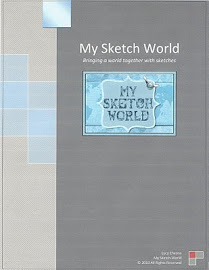 My Sketch World is a personal blog that was created to create sketches and share my work with others. All posts are written by me. I am currently a designer with several online places but I do not get paid from them. I must note that I choose the sponsors carefully. I will not post or promote anything on this blog that will offend anyone. I do accept paid advertising (if any) and sponsorships for My Sketch World blog. I will not feature advertising or a sponsorship if I do not believe that they offer a quality product and/or service. I have never been paid to post advertising that we have in the blog. 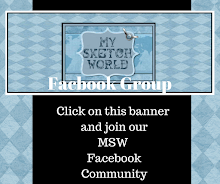 Giveaways are also a great feature of My Sketch World blog. Giveaway products are always a donation from the publisher or manufacturer. Due to the above relationships, I do receive income through my blog. I abide by word of mouth marketing standards. Any income that I do receive through my blog is generally used for the benefit of the blog in the way of postage (mailing giveaway prizes to recipients) or products to give away in contests and challenges. This disclosure policy was established and posted on January 1, 2010 but applies to all past and future posts to the My Sketch World Blog/Site.